Whether you’re partial to a late night cram session or have been known to get fixated on small problems, you’ll understand how difficult it can be to study. The truth is, there is an actual art to studying. 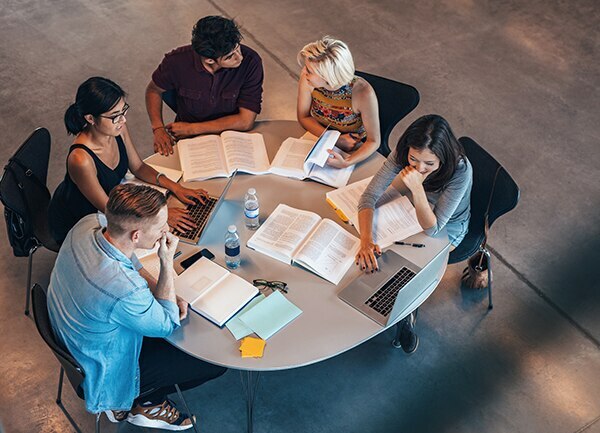 If you’re at university, you may want to take a look at your study habits and work out how you can perform better, in order to finish your degree well. Studying can be a chore but if you curb these bad habits, you may find it a little easier. The classic problem when it comes to study is procrastinating. You have so much on your plate with assignments and exams all with different due dates. Some pieces of assessment will be easier than others, but it’s the more daunting tasks that tend to get the better of us. Instead of leaving the hardest, longest or biggest assessment to last, make it a priority. The best way to curb your procrastinating tendencies is to put a plan for the semester in place right from the start – and stick to it. While being a perfectionist can be a very good thing, it can also be a weakness when it comes to study. Getting fixated on one small part of your assignment, or one topic of your exam, will simple leave you very prepared in some areas, and completely lacking in others. You need to resist the urge to spend all your time on one subject or piece of assessment, and instead learn the art of multi-tasking. Not only will this help you with your study, but it’s a skill that you will use everyday when you land a job in the real world. Even if you set aside plenty of time to study for your upcoming exam or work on your next assignment, if you’re not using that time wisely, you won’t get the results you deserve. Getting easily distracted by social media or friends and family interrupting you, will constantly leave you feeling frustrated and quickly running out of time. When it comes to study, find a quiet place free from distractions, and learn to use your time effectively. There’ll be plenty of time to rest and relax once the semester is over. While you may feel motivated and ready to tackle the upcoming workload in week one, students can quickly tire of the pressure and feel lacklustre about the remainder of the semester. You need to keep your eye on the prize and maintain your motivation as much as possible. Reward yourself along the way, take regular breaks and keep looking forward.